With this new built-in storage interior cargo net the uses are endless for your Toyota Corolla. This factory cargo net accessory with an elastic enclosure will keep cargo from rolling around in the back of your Toyota Corolla. 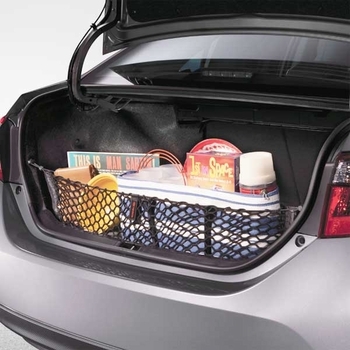 You can keep your groceries in one place with the addition of this Toyota Corolla interior cargo net. For easy Toyota Corolla cargo net interior installation all hardware and installation instructions are provided.